The "X BOX Then 360" form a triangle together with is the next button. my god! the triangle is a hint on what comes next! Triangle =180, 360+180=540 Xbox 540? 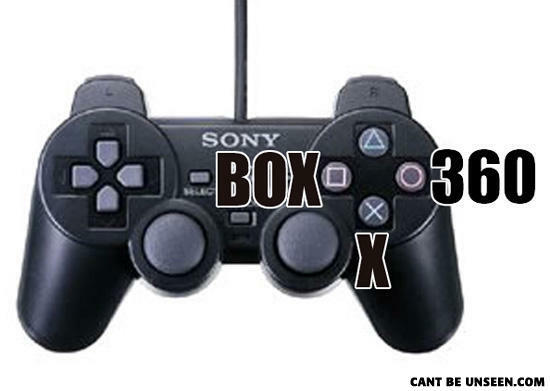 So, if it is the Xbox 360, and the original was just the Xbox, then according to the Sony controller, where is the "X"
What is a Box X 360? Sony is always one step ahead of its competition. Feeling alone fast after opening your mouth? Feel that people ignore your conversations? BUY A PARROT!